Tributes have been paid to Broadway Malyan founding partner John Malyan MBE FRIBA who has died aged 85. John, who founded the practice with Cyril Broadway in 1958 and which today has more than 500 staff, 16 studios worldwide and projects in more than 40 countries, passed away on April 29. Broadway Malyan Group Chairman Stuart Rough said: “He was a great man. He had a real presence both in terms of his physical stature and his charisma – when he walked into a room everybody stopped to listen. “John interviewed me when I first joined the architecture practice and I have fond memories of working with John in the years that followed where he was an important mentor to myself and many of my senior colleagues in terms of his knowledge and support. He knew everyone at the architecture firm like family. John is survived by his wife Pauline and daughters Louise and Fiona. 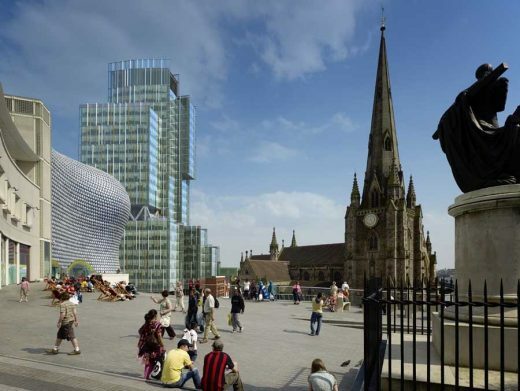 Proposals including Birmingham’s tallest office-led building have been unanimously approved by the city’s planners. This architecture practice has designed the final phases of the £200 m Beorma Quarter development on behalf of property group Salhia Investments. The proposals include a 30-storey mixed-use tower with retail space, 155,000 sq ft of Grade A office space and 125 apartments, each of which will have a private winter garden with spectacular views across the city. Nexus is part of Taylor’s Education Group, which operates universities, colleges and schools across Malaysia as well as the British University Vietnam and also owns student accommodation in the UK. Plans have been announced for a mega integrated healthcare hub, to be built around Tan Tock Seng Hospital in Singapore, designed by global architecture, urbanism and design practice Broadway Malyan. ‘Health City Novena’ is spearheaded by Tan Tock Seng Hospital, the National Healthcare Group and Singapore Health Ministry, and will serve patients in Central Singapore, where the local population is aging faster than the rest of the country. This global architecture, urbanism and design practice has completed the delivery of a new further education facility for 2,500 students and teaching / support staff in Barrow-in-Furness, Cumbria. Independent UK town planning, regeneration and development consultancy Nexus Planning Ltd has been created out of this global architecture, urbanism and design practice. The company’s name ‘Nexus’, which means a ‘connected series or group’, reflects the role of planners in supporting development in today’s complex planning and political environment. The Warsaw-based team at the architecture firm is celebrating the completion of the business and fast track lounge at Katowice Airport in Southern Poland. BP’s new Upstream Learning Centre, designed by this architecture office, has started construction in Sunbury, UK. The Centre will provide a 4,000 sqm learning environment for BP’s employees and is to be built by BAM Construct. 11 Dec 2012 – The 65,000 sqm design takes inspiration form the city’s canals, bridges and gardens with Suzhou known as the ‘Venice of the East’. The building is the largest retail project to be built to a design by this architects office in China to date. 1 Nov 2012 – A new city spanning 125 acres in North Bangalore, India, has been launched by real estate and infrastructure development company Bhartiya Urban, part of the Bhartiya Group, with major input from global architecture, urbanism and design practice Broadway Malyan. 24 Oct 2012 – This £21m building, designed by global architecture, urbanism and design practice Broadway Malyan for contractor Balfour Beatty Construction, has been officially opened. The building features two 25 m long swimming pools, a gym, six court sports hall and spa, as well as performance, events and conference facilities. The high-profile redevelopment of the ground floor lobby at Taj Crowne Plaza London – St James has completed. Ground works have commenced on this skyscraper building with the tower set to be the tallest residential skyscraper in The Philippines and Manila’s definitive landmark when completed in 2016. This architectural practice has broken into Vietnam with a brief to design and support the delivery of the World Trade Center Danang, on behalf of leading investment management and real estate developer VinaCapital Commercial Center Ltd. Launch of architects’ vision for new Brazilian city of 100,000. The masterplan vision for Convida Suape, a new city in North Eastern Brazil, has been officially launched by the practice’s client, Moura Dubeux Engineering and Cone S/A. £6.4m redevelopment of Chester’s shot tower and associated lead works to create 53 residential units as well as leisure and retail facilities. 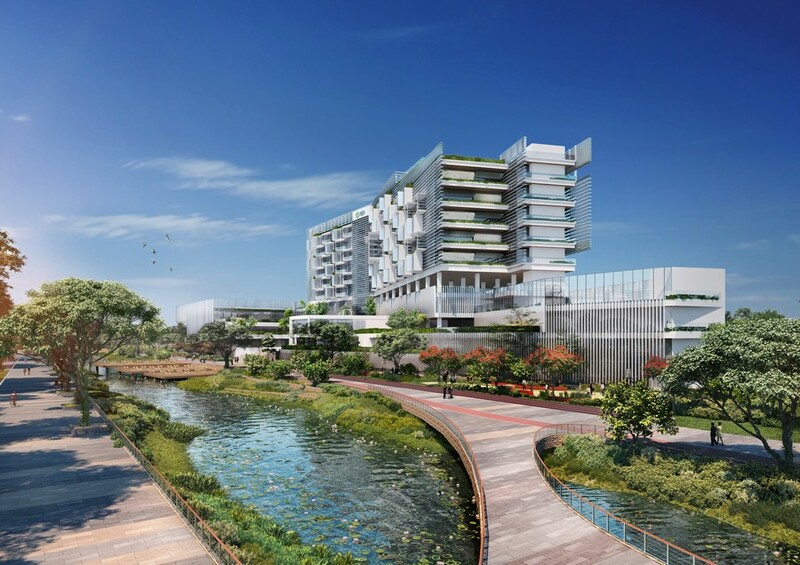 This architecture practice has pushed into Indonesia with an appointment to deliver the masterplan for the high-profile CIBIS project in Jakarta, on behalf of client Bhumyamka Sekawan. The buildings are the practice’s first project in Indonesia. This architectural practice has supported client the West Northamptonshire Development Corporation to submit a planning application for the high-profile Northampton Innovation Centre which will provide office accommodation for up to 60 businesses. The £6.5m landmark Centre will be the first new building delivered in the St Peter’s Waterside regeneration area. Seven new schools in Abu Dhabi, designed by this global architecture, urbanism and design practice for the Abu Dhabi Education Council, representing half of the first phase of ADEC’s ‘model schools’ and providing 7,000 student places and 120,000 square metres of new floor space, are set to open to students this academic year. The La Nova shopping centre has opened to the public, following a revamp to create the first major international shopping centre of its kind in China’s Hunan Province, with international architecture, urbanism and design practice Broadway Malyan acting as lead architect on the redesign of the centre, located in Changsha, the thriving provincial capital. Broadway Malyan opens 15th global office to deliver world’s second-tallest tower Global architecture, urbanism and design practice Broadway Malyan has opened an office in Istanbul, Turkey, as part of its continued international growth strategy, meaning the practice now boasts a global network of 15 bases, stretching from São Paulo to Shanghai. International architecture, urbanism and design practice Broadway Malyan has delivered masterplans for the creation of new communities built around cricket grounds, for client Anglo Indian, a leading real estate development and investment company, which is acquiring land and instigating development strategies in tier one and two cities in India.